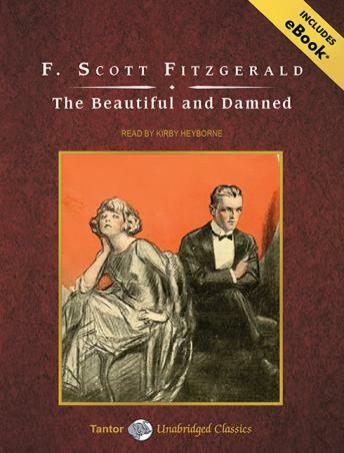 F. Scott Fitzgerald's second novel, The Beautiful and Damned, is a savage and haunting satire of the young, rootless postwar generation who live intent only on the pursuit of wealth and decadent pleasure. Anthony Patch is a 1920s socialite and the presumptive heir to a tycoon's fortune. His marriage to the beautiful but selfish Gloria is idyllic at first, but the union slowly disintegrates as reality sets in and their sole goal becomes Anthony's grandfather's fortune. Gloria's beauty fades, and Anthony's drinking takes its toll. Charting the corrosive attraction of wealth and malign influence, The Beautiful and Damned is also a vivid portrait of early-twentieth-century New York and the sights and sounds of the city's burgeoning night life.